The Make-A-Wish Foundation® grants the wishes of children with life-threatening medical conditions to enrich the human experience with hope, strength and joy. Founded in 1980 when a group of caring volunteers helped a young boy fulfill his dream of becoming a police officer, the Foundation is now the largest wish-granting charity in the world, with 65 chapters in the United States and its territories. With the help of generous donors and nearly 25,000 volunteers, the Make-A-Wish Foundation grants a wish every 40 minutes and has granted more than 480,000 wishes in the United States since its inception. 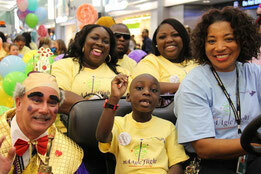 A Wish with Wings grants magical wishes for little Texans with life-threatening conditions. Since its opening in 1982, the organization has served more than 1,200 children and families; providing hope, happiness, joy and laughter to children facing an uncertain future. While the most frequent wish is for a magical visit to Disney World and Give Kids the World Village, other wishes are as unique and individual as the children themselves. The Casey Cares Foundation is a 501(c)(3) non-profit that provides personalized, uplifting programs with a special touch to critically ill children and family members throughout six states. Based in Baltimore, Casey Cares will serve more than 700 families at more than 100 hospitals throughout the Mid-Atlantic region. To date, Casey Cares has engaged 90,000 program participants in uplifting programming, ranging from sporting events to group parties to vacations. For more information, visit CaseyCares.org. The Dream Factory Inc. ® began in 1980 with one all-volunteer chapter and has since grown into the second-largest children’s wish-granting organization in the United States. It has granted over 25,000 dreams since its inception --all while maintaining a grassroots approach. The Dream Factory continues to operate all 36 of its local chapters with over 5,000 volunteers who raise funds within their own communities to grant the dreams of critically and chronically ill children between the ages of 3 and 18. The Dream Factory is the only children’s wish-granting organization that does not limit its mission to children who have life-threatening illness. 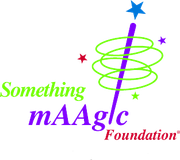 Give Kids The World Village® is a non-profit resort that creates magical memories for children with life-threatening illnesses and their families. 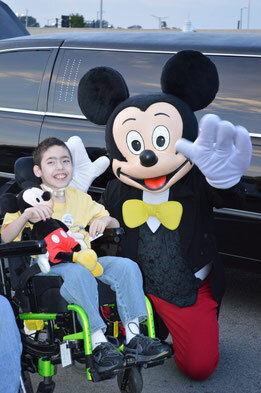 Wish-granting organizations coordinate transportation to Orlando, while Give Kids The World provides accommodations at its whimsical resort, attraction tickets, and meals for a week-long fantasy vacation. 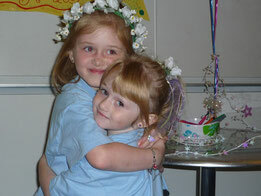 Since its founding in 1986, Give Kids The World has welcomed families from all 50 states and more than 70 countries. 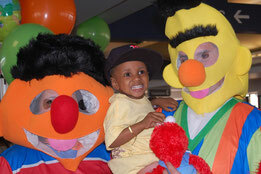 The American Airlines Kids in Needsm program provides worldwide support for children and their families, as well as for organizations dedicated to improving the quality of life for children with needs for medical, educational, social services issues and/or for those that heighten public awareness of children's issues. 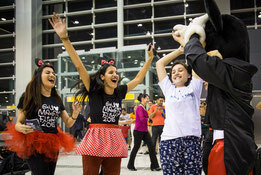 American Airlines Kids in Need generously helps fulfill the missions of Something mAAgic by donating miles for the children and their families to travel on mAAgicsm flight. 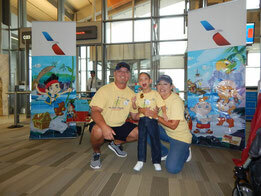 Learn more about how you can donate AAdvantage miles to this program by visiting aa.com/kids. The Take A Breather Foundation provides respite, in the form of a wish, for children who have been touched by Cystic Fibrosis (CF). Our goal is to give these children, along with their families, the opportunity to "take a breather" from CF and focus on creating magical memories that will stay with them a lifetime. Memories that will strengthen their hearts and minds as they battle the psychological, emotional and economical turmoil that accompanies life with Cystic Fibrosis. "Together, We Help Make this Happen"